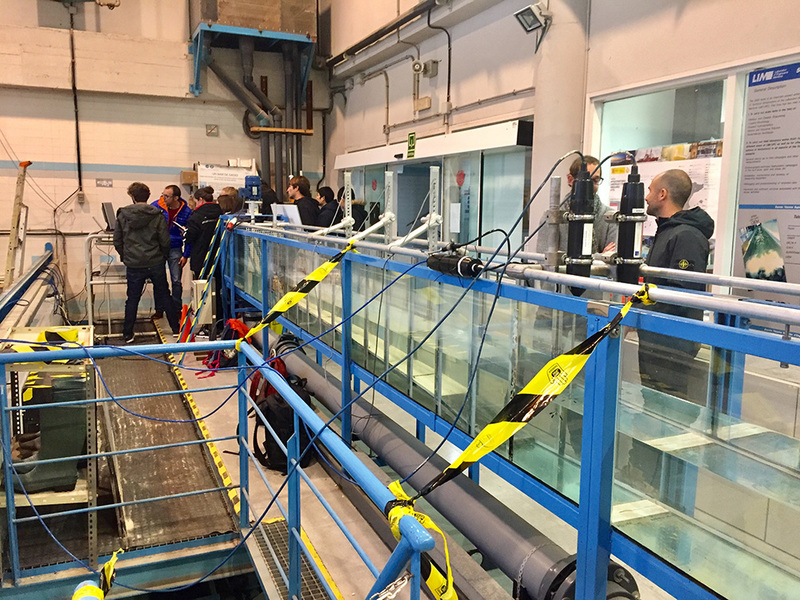 Fifteen of the best early career researchers coming from 12 countries have met in Barcelona from 6th to 8th Febraury 2018 in the facilities of the Maritime Engineering Laboratory of the Catalonia University of Technology (LIM/UPC) for a high-level 3 days’ workshop on the topic of the hydro-morphodynamic measurement techniques representing the environmental complexities. Special focus has been given to acoustic measurements used both in the laboratory and in the field. Velocity structures, sediment concentration, free surface elevation and bed forms were the main topics reviewed during the workshop. The spokesmen were recognized professionals from the scientific and commercial world who made their knowledge available to the next generation researchers. 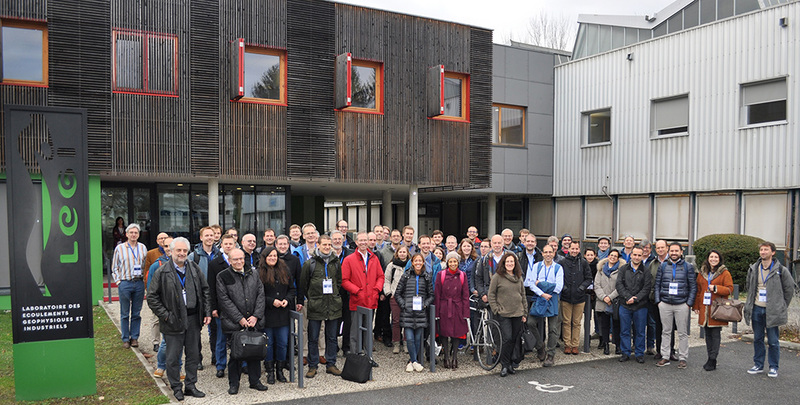 They have been able to see firsthand different sensors and to participate in masterclasses on the measuring principles, the instrumental deployment, both in laboratory and in the field, an application case and the systems commercially available. They also had the unique opportunity to work both in the large and small scale wave flumes of LIM/UPC setting up different pieces of equipment and collecting data-sets. The last day the students worked on the collected data performing data analysis under the guidance of the professors and applying all the knowledge acquired in the previous days. The final keynote has been given by the professor and director of the LIM/UPC, Agustin Sanchez-Arcilla on how important are these measurements for climate change and adaptation for coastal processes. We would like to take this opportunity to tahnk all the people involved in the preparation and organisation of this event and in particular, staff at the Catalonia University of Technology and all the speakers on these 3 day event.